Since 1976, South Western Communications has been providing the highest quality with outstanding project management and installation. Call South Western Communications today for your One Source Security Integrator providing you with security electronics resources to guide you from project conception to successful project completion—on time and under budget. SWC in house Engineers and Programming program and factory point test all of the integrated systems that we offer. SWC in house Manufacturing Technicians completely assemble all components and systems and aid the Engineers in the testing procedure of all systems prior to delivery to the site. SWC in house Quality Control test the project 100% prior to any equipment being sent to the site. SWC in house Project Managers manage all off and on site activities of each project. SWC Project Coordinators (Superintendents) manage all on site activities of each project. 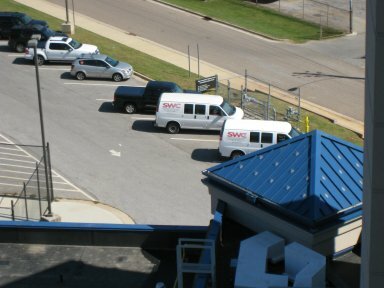 SWC Field Technicians install and service all systems of each project. Our field staff is NICET certified up to Level 4 and have received all required factory training for all of the systems we furnish. SWC Project Engineers remain an entity of the project until project completion. After coordinating the equipment of other trades, for which we interface and or control, we generate detailed to scale plans and equipment details. Submittal meetings, as well as coordination meetings with the general contractor and other trades, are conducted as necessary by the Project Manager and or the Project Engineer.